A helicopter pilot stationed in Afghanistan and a Captain in the U.S. Army, Rachel, found a wounded and starving puppy while serving and nursed him back to health. Unable to keep the dog, Rachel and her unit had leave the dog to fend for himself or bring him home. 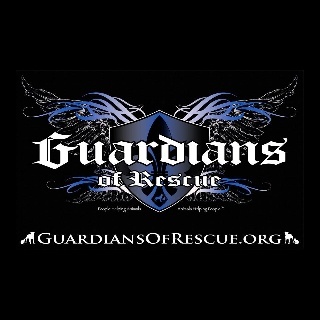 Thanks to Guardians of Rescue, action to help the dog began. The dog, named “Toby” was transferred to The Nowzad Shelter in Kabul, Afghanistan and funds were raised to bring him home. Reaching their goal of slightly over $5,000, the dog landed this morning at JFK in New York. Rachel will be home in January of 2013, and Guardians of Rescue has arranged for Toby to be cared for by Hounds Town – Port Jefferson, where he will undergo a training program to adjust to life here in the United States. High school students in Beverly, Massachusetts have joined in to help with the cause and are raising money for animal awareness found stranded in war-battered areas in Afghanistan. The group consists of seven students who have been working hard to help the cause. To assist with Toby’s care while he is here in the United States and with his final transport to Rachel in Texas upon her return, visit www.Guardiansofrescue.org or www.Facebook.com/GuardiansOfRescue. For more information about the Beverly High School student and their project, visit and like their Facebook page: www.facebook.com/BhsGaurdiansOfRescue?ref=stream.